For Lake Whitefish, history has repeated itself. Across the St. John River region that spans Québec and Maine, these freshwater fish have continually evolved in the same way. Within the many individual lakes in this area, Lake Whitefish have diverged into two groups differentiated by size and body shape. These two groups, known as “dwarf” and “normal,” give geneticists a powerful model to study parallel evolution. In the July issue of G3, Laporte et al. 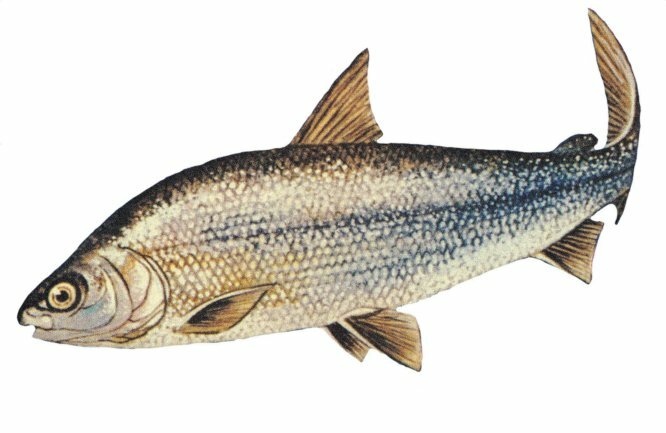 clarify the genetic mechanisms that underlie parallel phenotypic changes in these Lake Whitefish populations. Do parallel phenotypes indicate genetic parallelism, in which body shape in each population evolved via the same genetic mechanism? Or could such changes in morphology occur through multiple genetic routes? In five different lakes, the authors found dwarf individuals had larger eyes, more slender bodies, and longer tails than their normal counterparts. Normal and dwarf Lake Whitefish use different ecological niches in each lake: normal species feed on benthos while dwarf species feed on zooplankton. The differences between the two morphological types of whitefish match the traits expected to be selected for by their given niches. With phenotypic differences confirmed, the investigators next explored how many genes are involved in determining body shape. The authors identified 138 quantitative trait loci (QTL) underlying this variation, with each shape trait associated with an average of five QTL. This finding suggests many genes influence body shape, in line with the theory that rapid adaptation of complex traits involves simultaneous selection at many loci. Then, the authors tested for genetic parallelism using a method that accounted for multiple genes involved in the trait. This method tested for selection on the identified QTL and revealed genetic parallelism in three of the five lakes. The remaining two lake populations each showed no evidence of genetic parallelism with the other lakes. This supports the conclusion that those three lake populations followed the same genetic routes as they diverged, while the other two each underwent unique mechanisms to reach the same phenotypic differentiation. Laporte et al. therefore conclude that both genetic parallelism and multiple genetic routes underlie the parallel evolution of body shape in the Lake Whitefish.